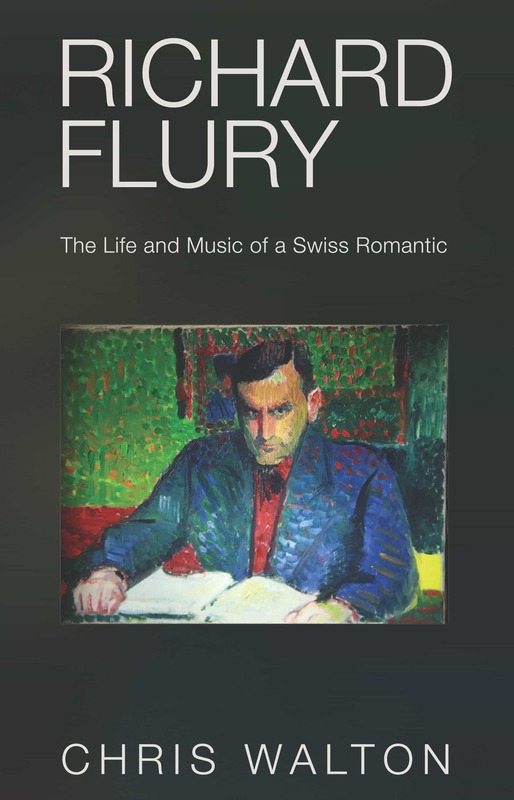 The late-Romantic composer Richard Flury (1896–1967) was born in Biberist, a tiny town outside the Baroque city of Solothurn in northern Switzerland. He went to school in Solothurn, later taught there, conducted its orchestra, and had his operas and ballets performed at the local theatre by its semi-professional ensemble. But Flury was more than just another conservative composer stuck in the provinces. His teachers included Ernst Kurth and Joseph Marx of Vienna, and his music was performed by conductors such as Felix Weingartner and Hermann Scherchen and star instrumentalists like Wilhelm Backhaus and Georg Kulenkampff. His first opera was conducted by a former student of Berg and Schoenberg who became his staunch advocate, and during the Second World War Flury worked closely with several Jewish emigré writers and musicians from Germany and Czechoslovakia. In his music of the early 1930s, the influence of Berg and Hindemith became apparent as Flury dabbled in modernism and free tonality before moving back to a more traditionalist stance; but he was also a fine tunesmith who loved writing Viennese waltzes and violin miniatures after the manner of Kreisler. In both his aesthetic and his career, Flury offers a fascinating case of a man negotiating constantly between the centre and the periphery – and composing some very good music in the process. Chris Walton, born in 1963, studied at the universities of Cambridge, Oxford and Zurich and was a Humboldt Research Fellow at Munich University. He was head of Music Division at the Zurich Central Library for ten years, during which time he also lectured at ETH Zurich and worked as an occasional répétiteur, continuo player and conductor. He then spent several years as Professor and Head of Music Department at the University of Pretoria, and today lectures at the Musikhochschule Basel and heads a research project at the Bern University of the Arts. In 2009 he was awarded the Prize of the Max Geilinger Foundation for his contribution to Swiss-British cultural ties. He has published several books on Austro-German music from Wagner to Berg. He lives in Solothurn and Törbel in the Swiss Alps.